A campaign group has said it is preparing to file a legal challenge against Scottish salmon farms, in a bid to end the use of Thermolicer and Hydrolicer treatments. The group stated that Freedom of Information disclosures from the Scottish government show over 100,000 farmed salmon died in 14 incidents between August 2017 and January 2018 caused by Thermolicer or Hydrolicer treatments. “Since 2016, over 230,000 fish have died on Scottish salmon farms following the use of ‘mechanical treatments’ intended to kill sea lice and treat amoebic gill disease,” the campaign group added. In 2016 Marine Harvest defended the Thermolicer after a mass mortality incident in Scotland. “The Thermolicer has been rigorously tested over a nine-year period and is recommended by the Norwegian veterinary institute. The machine has safely treated hundreds of thousands of tons of salmon in Norway and Scotland,” Marine Harvest said. “It is extremely regrettable we lost fish at Greshornish, which we believe was the result of treating fish that had been weakened from other treatments, particularly for amoebic gill disease, in the preceding two months. Human error played a part in this incident; however, these earlier treatments had saved many fish suffering from this environmental gill challenge. In hindsight it is our belief that any bath treatment for sea lice would likely have resulted in mortality,” it added at the time. 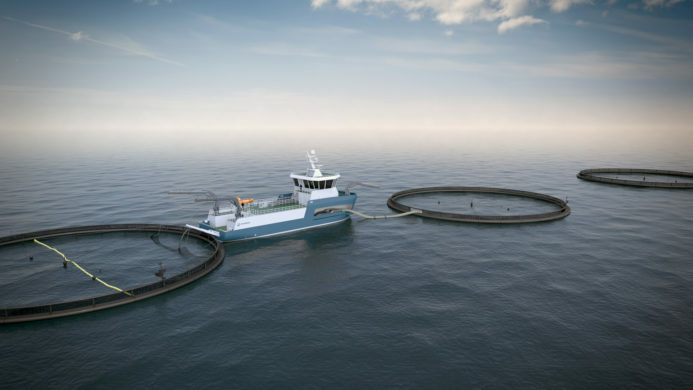 Scottish Sea Farms also backed the technology, which has been shared by farmers across Scotland, treating more than six million fish and achieving a lice clearance rate of 95%, the company said in 2016. After the 2016 event ‘Compassion In World Farming’ called for a ban on Thermolicers. Scottish Salmon Watch also cited Norwegian veterinarian Kristin Ottesen, who in 2018 warned against the use of the Thermolicer due to the risk of head injury including “large bleeding around the brain” and “stress-induced damage”. Another six ‘Mortality Event Reports’ provided no data on the number of dead fish but at least one incident was reported as “over 1% mortality”, he wrote. Julie Hesketh-Laird, chief executive of the Scottish Salmon Producers Organisation, defended the use of Thermolicer and Hydrolicer treatments in a statement sent toUndercurrent News Tuesday, saying they have been “an effective step to manage naturally occurring sea lice on farms”.